Along with the physical changes that occur as we get older, changes to our sleep patterns are a part of the normal aging process. As people age they tend to have a harder time falling asleep and more trouble staying asleep than when they were younger. It is a common misconception that sleep needs decline with age. In fact, research demonstrates that our sleep needs remain constant throughout adulthood. So, what’s keeping seniors awake? 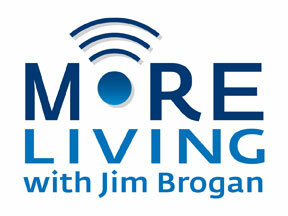 Tune in this Saturday from 9 a.m to 10 a.m. on NewsTalk 98.7 on “More Living with Jim Brogan”. Brogan will be speaking with Dr. Barker about the effects of sleep and aging. You won’t want to miss!